Living in the heart of big city hustle and bustle, Los Angeles, California, Karen Snyder desperately needed an escape, a sanctuary away from the chaos. 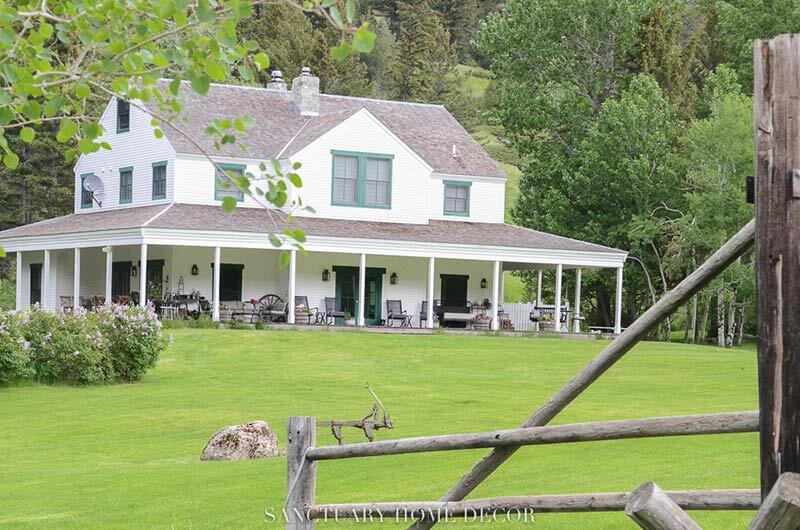 She and her husband purchased a ranch in Montana in 2012 where they’ve spent their casual and relaxed summers ever since. But, for the other three seasons of the year, she still craved the ease of Montana living in her Southern California home. 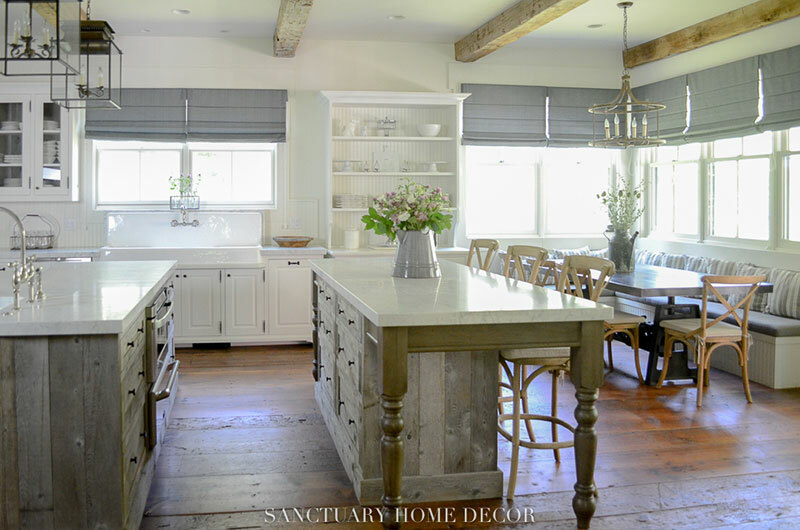 After some soul-searching and happenstance, Karen and her husband downsized to a quaint cottage nestled in an equestrian community in L.A. She started her blog, Sanctuary Home Décor, to document her journey of making both of the homes her family’s sanctuary. We sat down to chat with her about exactly how she did this below. The Cottage Journal: You have two gorgeous homes—one in L.A., where you spend fall-spring, and a ranch in Montana where you spend your summers. 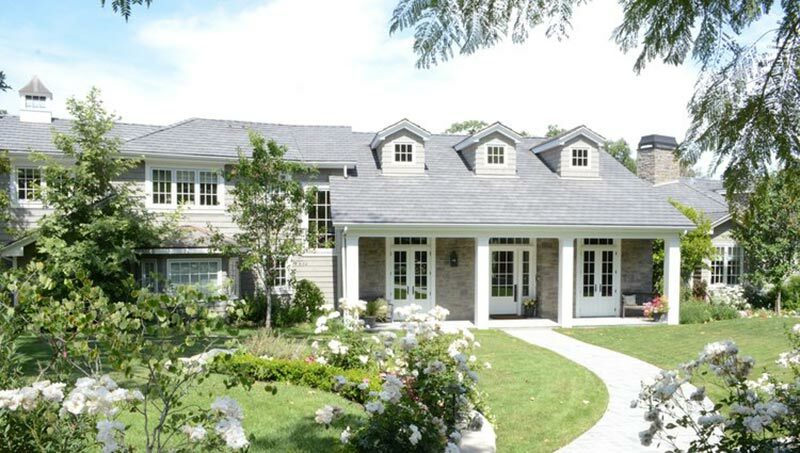 How do the different designs and styles of your two homes reflect the lifestyle you live when occupying them? Karen Snyder: Our family is truly blessed to have two homes that we enjoy throughout the year, and while each one is unique, there is definitely a common thread that runs through both. 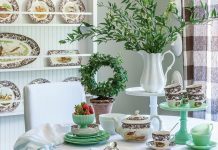 In Los Angeles, we live in an upscale equestrian community and even though our home is more refined and elegant than our Montana ranch, we still live a very relaxed and casual lifestyle. With three dogs and horses in our back-yard barn it would be hard to have a home that is too fussy or sophisticated. When I decorated our L.A. home my intention was to make sure that everyone felt as though they could come in, sit down and put their feet up. The same is true at our ranch, and the rustic farmhouse style of the main house definitely has that feeling. Whether we are riding horses, swimming in the pond or hiking in the woods there is a lot of activity happening everyday so having a casual, easy design and style is important to make everyone feel at home. TCJ: How do both of these houses, with two different styles—your L.A. home being elegant and neutral with a few rustic touches and the ranch with a rustic, country style—reflect your personal style and design philosophy? KS: I was born and raised in Los Angeles and considered myself a “city” girl until my husband and I built our first home together, in a small equestrian community just outside the city. Having horses, chickens, and goats in our neighborhood and living more of a country life was really instrumental in shaping my style and design aesthetic. I have never been one to buy designer clothes or furniture so casual and rustic not only made sense in that environment but felt like a more authentic expression of my personality and style. Our home in Montana is just an extension of that philosophy. Casual is a way of life there, so it follows that our home would be a reflection of that style. TCJ: In your blog, you mentioned that every summer since you’ve owned your Montana home, you and your husband have tackled some sort of project on the property. What has been your favorite of all of these, and what project did you tackle this past summer? KS: Yes! Our projects on the ranch have all been fun and exciting! 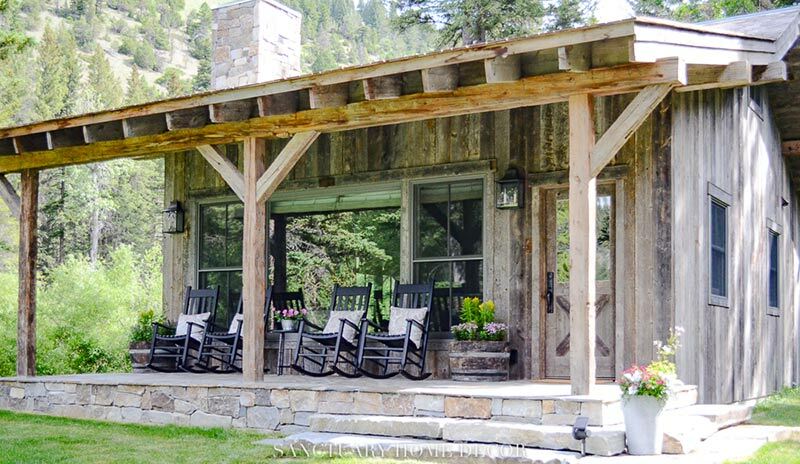 We have remodeled the main farmhouse, turned the barn into a guest house, built a cabin in the woods, landscaped and this last summer we built another guest cabin up on a hillside with beautiful views of the mountains and woods. We are calling it the Tree House because you can see over the tree tops as you look out the windows! It’s just beautiful! It’s hard to pick a favorite project, but I would say the kitchen remodel in the main house is at the top of my list. The original kitchen was so tiny with limited counter and cabinet space and just was not functional. 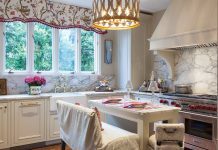 We expanded the space by enclosing an adjoining porch and carport and were able to create my dream kitchen. It was designed with the idea that it would be a gathering space for all of our friends and family, and that’s exactly how it turned out. It is definitely the heart of our home in Montana. 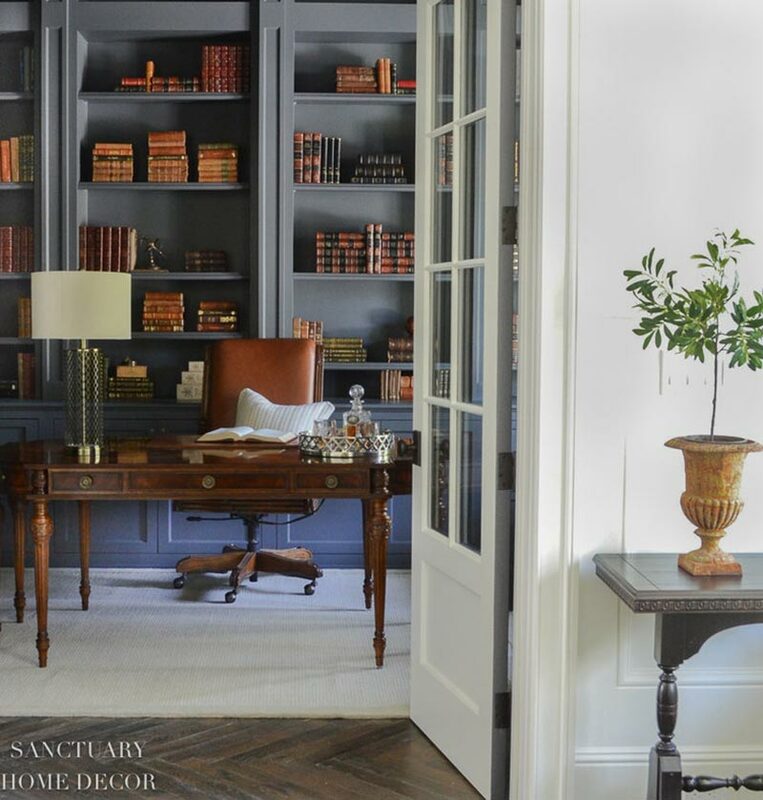 TCJ: Your blog is aptly named Sanctuary Home Décor because you want your home to be just that: a place of rest. What tips can you give our readers on how to achieve peace through design? KS: Oh, this is a question that is near and dear to my heart. I started my blog because I wanted to share my experience of transforming my home from a place where I mostly felt stressed and busy to a home where I felt peace and joy. In order to achieve this, I made an intentional shift in how I lived and decorated. I realized that I was surrounded by things that looked nice and filled spaces but had little meaning or true value to me or my family, so I began by clearing out all of the clutter and unnecessary “stuff.” This one step made a huge difference in how my entire family felt. I adopted a “less is more” philosophy and opened up space in every room, closet, and drawer. This reduction in clutter was incredibly powerful and instantly created a sense of peace. From there, I only brought in new things that I really loved or had deep meaning for our family. When I look around my home now, I can honestly say that I love everything in it, and while this may seem like a superficial way to achieve peace and joy it is truly powerful.